Rob Gilbreath leads the firm's appellate group. He has handled more than 200 appeals in a wide variety of areas, including trust and estates, personal injury, breach of contract, breach of warranty, breach of fiduciary duties, fraud, family law, oil and gas, contempt of court, arbitration, government regulation, defamation, RICO, shareholder oppression, and Lanham Act false advertising claims. In addition to handling cases in the appellate courts, Rob assists with error preservation, complex motions, and pleadings in the trial courts. He often attends trial to help litigators preserve error, particularly in the jury instructions/court’s charge. He has been responsible for preserving error in numerous high-dollar, complex cases, including one where the jury’s verdict exceeded $4 billion and two where the jury’s verdict exceeded $300 million. After graduating from law school, Rob served a year as law clerk at the Texas Supreme Court. 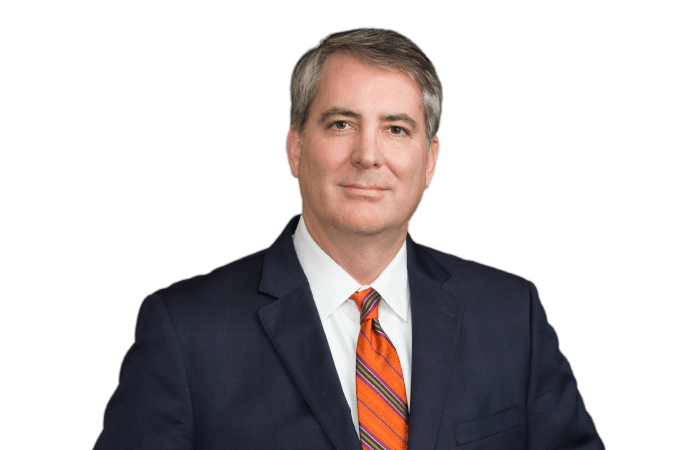 He is Board Certified in Civil Appellate Law by the Texas Board of Legal Specialization and is the former Chair of the Board’s Appellate Exam Commission, which drafts and grades the appellate certification exam. He is also a founding member and trustee of the Texas Supreme Court Historical Society. Rob has handled or assisted with appeals and original proceedings in Texas, Arizona, California, Colorado, Florida, Georgia, Illinois, Kentucky, Louisiana, New Hampshire, New York, Pennsylvania, and South Carolina; the United States Courts of Appeals for the Second, Third, Fifth, and Eleventh Circuits; and the United States Supreme Court. He has argued over 100 cases before the Fifth Circuit, the Eleventh Circuit, the Supreme Court of Texas, the New York Court of Appeals (the state's highest appellate court), the Arizona Supreme Court, the Delaware Supreme Court, the Georgia Supreme Court, Pennsylvania's court of appeals (the Superior Court), the Georgia Court of Appeals, the Florida Court of Appeals, the Louisiana Court of Appeals, and most of the fourteen intermediate appellate courts in Texas. Rob has prevailed in numerous important cases in the Texas Supreme Court. For example, in 2014 the Court issued a landmark decision on shareholder oppression claims. Ruling in favor of Rob’s clients, the Court held that there is no common-law claim for shareholder oppression, narrowly redefined “oppression” for purposes of statutory oppression claims, eliminated the buyout remedy for statutory oppression claims, and rendered judgment that the plaintiff take nothing on her shareholder oppression claim. The decision has been called the most important decision of the Texas Supreme Court's 2013-2014 term. In 2011, Rob’s successful representation in the Texas Supreme Court of a client accused of contempt earned him a front-page story in the Texas Lawyer newspaper. In 2016, his win in the Texas Supreme Court for a client whose settlement proceeds were stolen by her lawyer also earned him a front-page story in the Texas Lawyer. And his 2009 Texas Supreme Court victory for a large home builder client seeking insurance coverage was also covered by the Texas Lawyer as a groundbreaking development in the law. The Supreme Court of Texas and the Emancipation Cases,69 Tex. Bar Journal 948 (November 2006): “Everyone made aware of this article is passing it along to others”; “I’d like to see this article expanded and made available in a national publication.” Rantomat.blogspot.com. Briefing in 1464-Eight, Ltd. v. Joppich,154 S.W.3d 101 (Tex. 2005): Described by two Texas Supreme Court staff attorneys as containing an issue statement that “gets immediately to the deep issue and thus sparks interest in the case.” Cassandra Burke Robinson & Amy J. Schumacher, Sample Issues/Points Presented at p.1, Practice Before the Texas Supreme Court (2005). “[The article’s] important points apply to trial-level advocacy as well as appellate advocacy.” Evan Schaeffer, The Illinois Trial Practice Weblog, April 6, 2005. “Here is a great article written by Robert Gilbreath. I hope you enjoy this article as much as I did.” John A. Day, Day on Torts Law Blog, April 11, 2005. “[J]ust read your petition for review in D.R. Horton-Texas, Ltd. v. Markel Int’l Ins. Co., Ltd. I don’t think I’ve ever felt compelled to do this before – but I just want to say it’s one of the finest pieces of work I’ve read . . . and I’ve read a lot of briefs in the last 25 years." (From an e-mail sent by a former court of appeals justice now practicing law with a large, national firm). Tape Recording of Conversations: Ethics, Legality, and Admissibility, 59 Tex. Bar. J. 950 (Nov. 1996) (cited in Report for Congress, “Privacy: An Overview of Federal Statutes Governing Wiretapping and Electronic Eavesdropping” (Updated January 13, 2003) [also available at http:// wikileaks.org/wiki/CRS-98-251 (February 2, 2009)]). Anderson v. City of New Orleans, ___ So.2d ___ (La. Ct. App. 2018) (reversing trial court order certifying a class in case involving alleged exposure to toxic chemicals). Quiroz v. Alcoa Inc., 382 P.3d 75 (Ariz. Ct. App. 2016) (holding that an employer owes no duty to prevent exposure by a family member to toxic substances brought home on an employee’s clothing). Scapa Dryer Fabrics, Inc. v. Knight, 788 S.E. 2d 421 (Ga. 2016) (reversing multi-million dollar judgment on ground that trial court improperly admitted expert testimony that did not satisfy Daubertstandards). Tidwell Ford, Inc. v. Bashuk, 782 S.E.2d 721 (Ga. Ct. App. 2016) (affirming summary judgment in favor of attorney sued for legal malpractice). White v. Pottorff, 479 S.W.3d 409 (Tex. App.—Dallas 2015, no pet. h.) (reversing judgment against client in excess of $36 million for alleged failure to afford alleged “tag-along” rights under an LLC agreement). Aquila v. Brisk Transp., Inc., 170 So.3d 924 (Fla. Ct. App. 2015) (affirming trial court’s take-nothing judgment in favor of clients in catastrophic-injury case). Evans v. Frost Nat’l Bank, 2015 WL 4736543 (Tex. App.—Dallas 2015, no pet. h.) (reversing trial court order requiring client to pay attorneys’ fees for adverse party’s judgment-enforcement efforts). Frontier Communications Northwest, Inc. v. D.R. Horton, Inc.,2014 WL 7473764 (Tex. App.—Fort Worth 2014, no pet.) (affirming summary judgment for client D.R. Horton on ground that plaintiff lacked standing to maintain breach of contract claim against D.R. Horton). In re Asbestos Prod. Liab. Litig. (No. VI), 2014 WL 7172923 (3d Cir. 2014) (affirming district court's dismissal of plaintiff's claims for failure to comply with expert report requirements). Holland v. Friedman & Feiger, 2014 WL 6778394 (Tex. App.—Dallas 2014, no pet. h.) (affirming trial court’s summary judgment in favor of law firm partner and separate judgment for law firm in suit involving claims brought by former client of the law firm). KSWO Television Co., Inc. v. KFDA Operating Co., LLC, 442 S.W.3d 695 (Tex. App.—Dallas 2014, no pet. h.) (reversing summary judgment against client in case involving dispute arising out of failed asset purchase transaction and parties’ claims to over $6 million held in an escrow fund). D.R. Horton-Texas, Ltd. v. Bernhard, 423 S.W.3d 532 (Tex. App.—Houston [14th Dist.] 2014, pet. pending) (reversing, in part, trial court order confirming arbitrator’s award; trial court erroneously tacked on attorneys’ fees for any appeal of its confirmation order). Double View Ventures, LLC v. Polite, 75 S.E.3d 172 (Ga. App. 2014) (reversing multi-million-dollar judgment for plaintiff in premises-liability case). Basic Capital Mgt., Inc. v. Dynex Commercial, Inc., 402 S.W.3d 257 (Tex. App.—Dallas 2013, pet. denied) (after remand from Texas Supreme Court, rendering judgment entitling clients to recover well over $40 million in breach-of-loan-commitment case). Pounders v. Enserch E&C, Inc., 306 P.3d 9 (Ariz. 2013) (affirming lower courts' rulings applying New Mexico statute of repose to Arizona resident's personal injury claim). El Dorado Land Co., L.P. v. City of McKinney, 395 S.W.3d 798 (Tex. 2013) (holding that client’s option to re-purchase real property was a compensable future interest for inverse condemnation purposes). In re J.P. Morgan Chase Bank, N.A., 373 S.W.3d 610 (Tex. App.—San Antonio 2012, orig. proceeding) (granting writ of mandamus enforcing mandatory venue provision). In re Swift Transp. Co., 2011 WL 4031029 (Tex. App.—Houston [14th Dist.] 2011, orig. proceeding) (granting writ of mandamus and vacating trial court's overly broad discovery order). In re Coy Reece, 341 S.W.3d 360 (Tex. 2011) (granting mandamus relief and holding that client’s perjury during deposition was not punishable as contempt of court). Whiteside v. Decker Hallman, 310 Ga. App. 16 (2011) (affirming summary judgment for law firm client accused of breaching fiduciary duties to its client). Lockman v. S.R. Smith, LLC, 2010 WL 5158571 (11th Cir. 2010) (per curiam) (affirming district court’s grant of summary judgment to industry trade group client sued for alleged negligence in promulgating swimming pool design specifications). Osmose, Inc. v. Timber Products Inspection, Inc., 612 F.3d 1298 (11th Cir. 2010) (affirming trial court’s preliminary injunction in favor of client in Lanham Act false advertising case). D.R. Horton-Texas, Ltd. v. Markel Int’l Ins. Co., Ltd., 300 S.W.3d 740 (Tex. 2009) (reversing summary judgment against client on duty to indemnify issue and clarifying preexisting Texas law on that issue). In re Edward & Margie Wilhite, 2009 WL 3152961 (Tex. App.—Houston [1st Dist.] 2009, orig. proceeding) (en banc) (holding that trial judge was not disqualified from presiding over case). Coates v. Coates, WL 679592 (Tex. App.--Dallas 2009, pet. denied) (affirming trial court's judgment that plaintiff take nothing on fraud and breach of fiduciary duty claims arising out of sale of corporate assets). Medical City of Dallas, Ltd. v. Carlisle Corp., 251 S.W.3d 255 (Tex. 2008) (reversing court of appeals’ judgment and rendering judgment that client was entitled to recover attorneys’ fees for breach of express warranty claim). Continental Homes of Texas, L.P. v. City of San Antonio, 275 S.W.3d 9 (Tex. App. San Antonio 2008, pet. denied) (reversing trial court judgment and rendering judgment granting declaratory relief and attorneys' fees to client in case involving vested rights and applicability of city's tree preservation ordinance). Belo Corp. v. Publicaciones Paso Del Norte, S.A. De C.V., 243 S.W.3d 152 (Tex. App. El Paso 2007, pet. denied) (reversing trial court's order denying media defendant's motion for summary judgment and rendering judgment that plaintiff take nothing because there was no genuine issue of material fact that defendant acted with actual malice). In re Merrill Lynch Trust Co., FSB, 235 S.W.3d 185 (Tex. 2007) (granting petition for writ of mandamus and ordering trial court to compel arbitration of claims against broker and stay claims against other defendants until completion of arbitration). In re UBS Fin. Serv., Inc., 241 S.W.3d 179 (Tex. App. Fort Worth 2007, orig. proceeding) (granting petition for writ of mandamus and ordering trial court to compel arbitration of claims against brokerage firm). Lewis v. CNL Restaurant Properties, Inc.,223 S.W.3d 784 (Tex. App. Dallas 2007, no pet.) (affirming judgment dismissing limited partners' breach of contract and breach of fiduciary duties claims against general partners on grounds that claims were derivative in nature and therefore could not be maintained as a direct action). 1464-Eight, Ltd. v. Joppich, 154 S.W.3d 101 (Tex. 2005) (reversing court of appeals' judgment and holding that recited nominal consideration of $10 in option agreement need not actually be paid to make contract enforceable). COC Services, LTD v. CompUSA Inc., 150 S.W.3d 654 (Tex. App.--Dallas 2004, pet. denied) (affirming judgment notwithstanding the verdict and ordering that plaintiff take nothing in case where jury awarded over $250 Million in damages against client based on allegations that client reneged on agreement to license franchise operations in Mexico). Beal Bank, S.S.B. v. Schleider,124 S.W.3d 640 (Tex. App. Houston [14th Dist.] 2003, pet. denied) (reversing judgment for plaintiff based on alleged fraud and rendering judgment for client on counterclaim for amount due under note). Greg Abbott, Attorney General of Texas v. Blue Cross Blue Shield of Texas, Inc., 113 S.W.3d 753 (Tex. App. Austin 2003, pet. denied) (affirming judgment for client in action by State of Texas to declare client a charity and seize assets valued at more than $500 Million). Texas Bldg. Owners & Mgrs. Assoc. v. Public Utility Comm'n, MCI Worldcom, 110 S.W.3d 524 (Tex. App. Austin 2003, pet. denied) (affirming judgment for client in action where plaintiffs sought a ruling that statute requiring owners to give telecommunications companies access to property was unconstitutional). Dillard Dept. Stores, Inc. v. Gonzales, 72 S.W.3d 398 (Tex. App. El Paso 2002, pet. denied) (reversing $9 Million judgment against client based on alleged infliction of emotional distress and rendering judgment that plaintiff take nothing). Nolen v. Nucentrix Broadband Networks, Inc., Wireless One, Inc.,293 F.3d 926 (5th Cir. 2002) (affirming dismissal of RICO action against client for allegedly collecting unlawful debts). Revell v. Lidov, 317 F.3d 467 (5th Cir. 2002) (affirming ruling that client's out-of-state internet activities did not subject him to jurisdiction in Texas). State of New Mexico v. Caudle, 108 S.W.3d 319 (Tex. App. Tyler 2002, pet. denied) (reversing trial court order refusing to dismiss claims against client and holding that doctrine of comity compelled dismissal). Texas Commerce Bank, N.A. v. Grizzle, 96 S.W.3d 240 (reversing court of appeals' decision holding, among other things, that client's trust agreement exculpatory clause was void as against public policy). Lougay Toles v. Edward Toles, 45 S.W.3d 252 (Tex. App.--Dallas 2001, pet. denied) (pro bono representation of wife in tort claim against former husband; court of appeals reversed trial court judgment and held wife was entitled to recover emotional distress damages found by jury for abuse during the marriage). City of Garland v. Dallas Morning News, 2 S.W.3d 351 (holding that city manager's memorandum to city council regarding termination of finance director was a public record that must be made available to client). Dao v. Cao,WL 1593958 (Tex. App.--Dallas 2000, pet. denied) (reversing judgment for plaintiff based on jury findings of libel and intentional infliction of emotional distress and rendering judgment that plaintiff take nothing from client). Legend Airlines, Inc. v. City of Fort Worth, 23 S.W.3d 83 (Tex. App.--Fort Worth 2000, no pet.) (reversing trial court's judgment declaring that City of Dallas was required to prohibit client's interstate passenger service to or from Love Field). Crowson v. Kansas City S. Ry. Co., 11 S.W.3d 300 (Tex. App. Eastland 1999, pet. denied) (affirming trial court's take-nothing judgment for the defendant in FELA claim by injured railroad employee). MCI Telecommunication Corp. v. Texas Util. Elec. Corp.,995 S.W.2d 647 (Tex. 1999) (affirming in part and reversing in part trial court judgment for Texas Utilities based on allegations that MCI's trenching activities damaged utility poles). Triton Commercial Prop., Ltd. v. Norwest Bank Texas, N.A., 1 S.W.3d 814 (Tex. App. Corpus Christi 1999, pet. denied) (reversing trial court's summary judgment against client and holding that client was entitled to trial on issue of whether option to purchase real estate was enforceable despite late payment of extension fee). East Texas Med. Ctr. Cancer Inst. v. Anderson, 991 S.W.2d 55 (Tex. App. Tyler 1998, pet. denied) (reversing judgment for plaintiff based on jury's finding of slander, breach of contract, and tortious interference and rendering judgment that plaintiff take nothing from client). Glassell v. Ellis,956 S.W.2d 676 (Tex. App Texarkana 1997, pet. denied) (affirming trial court order certifying class action by royalty interest owners in oil and gas unit against unit operator).